Cyber-attacks, industrial espionage, and product piracy are rapidly growing; such problems are global and threaten both society and international manufacturers of all industries. German companies in particular develop valuable know-how with a competitive edge. The offensive affects know-how in machinery, medical devices, and intelligent systems, aka Cyber Physical Systems, alike. Wibu-Systems, one of the world's leading security providers, offers products and technologies for protecting the intellectual property against product counterfeiting and tampering. 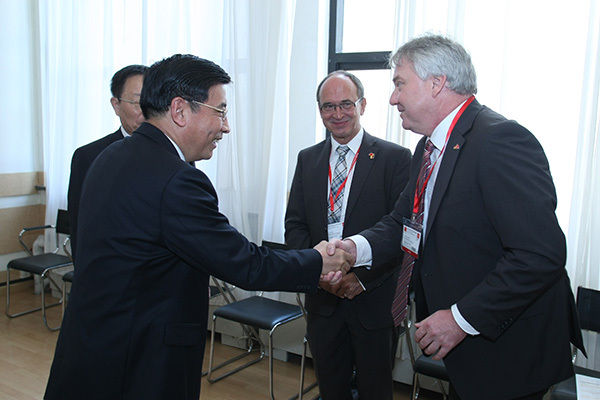 Oliver Winzenried, CEO of WIBU-SYSTEMS AG and Chairman of the working group Product and Know-how Protection of VDMA – the German Engineering Federation – took part in the trip the German business delegation led by Minister Sigmar Gabriel paid to China end of April. China is simultaneously both a threat, being the point of origin for plagiarism, and an opportunity, as its huge market is open to welcome German companies, protection technologies, machines, and devices. 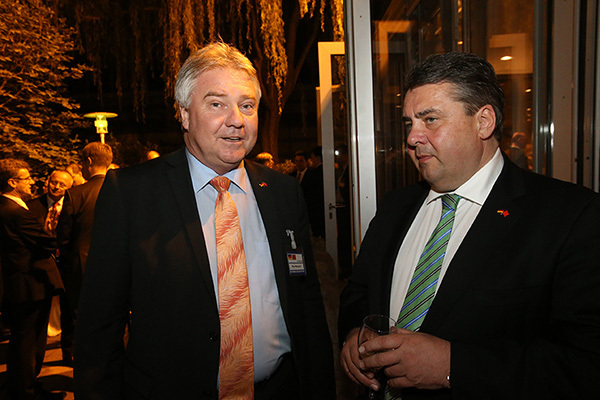 Minister Gabriel stressed the importance of technical measures for know-how protection, the favorable circumstances for Industry 4.0 to flourish provided it is supported by security, and also the necessity for the German economy to access the market without barriers and achieve a type of cooperation on an equal footing. In May 2014, the topic of Industry 4.0, which already receives great attention in China, was covered from multiple angles at the international Intelligent Manufacturing Conference. Organized by the Chinese Mechanical Engineering Society, CMES, this conference was held in parallel to the Industrial Automation trade fair in Beijing. More than 300 participants attended the presentations of Professor Lu Yongxiang of CMES, Mr Miao Wei, Chinese Minister of Industry and IT from MIIT, Mr. Zhou Ji of CMES, Rainer Glatz of VDMA, Olivier Fontan of GE, and Oliver Winzenried of Wibu-Systems. VDMA highlighted the activities run to promote Industry 4.0 in Germany, and Wibu-Systems focused on trends in security and safety. Oliver Winzenried emphasizes: "The attention of governments and companies is high. Companies are required to protect their products, and even more their know-how, from tampering. You cannot just rely on state regulations and patents alone. Cryptographic-based protection measures prevent counterfeiting and cyber-attacks. The technology is here; it is just a matter of integrating it straight away. " Minister Miao Wie of MIIT (left), Oliver Winzenried (right) and Rainer Glatz (center) exchange views during the international Intelligent Manufacturing Conference.